Ant Raid Game For Android - Protect The Queen! ~ AndroidRootz.com | Source for Android Rooting, ROMS, Tricks and More! Ant Raid Game For Android - Protect The Queen! 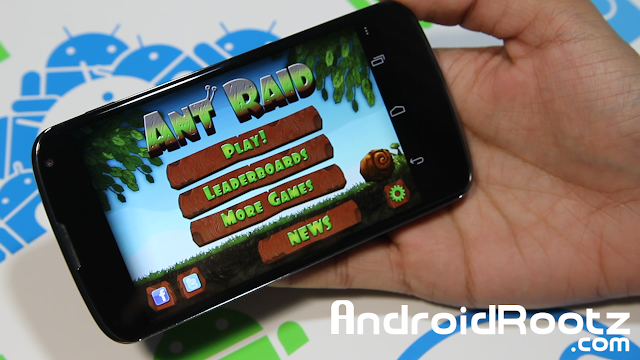 Ant Raid game is a great app for just about any age. Your goal in the game is to protect the queen ant and your house. To protect them you order groups of ants to attack the creatures until there defeated Early in the game it is very simple, but later on it get more interest and intensive! With Ant Raid you also have the option for both story and survival mode, but you must defeat story mode to continue on survival mode. Around level 8 on story mode is where I was having a hard time passing level, as you can see in the video above. To wrap things up, I find this game very fun for the whole family and for myself personally too! Try out this fun game for 99 cents on the Play Store using the link below!